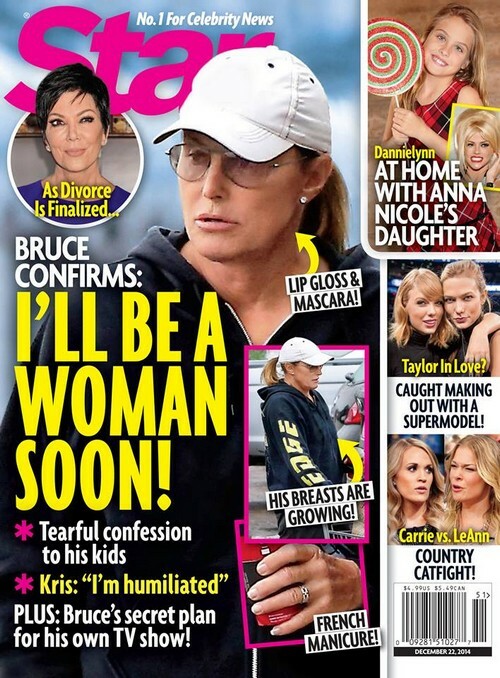 After Bruce Jenner’s tragic car accident this weekend, stories on celebrity websites quickly devolved from discussions of the tragedy to the fact that Jenner may have been taking “heavy doses of hormones” when he got in the accident. The former Olympic gold medalist has not confirmed that he ingests a dose of female hormones on a daily basis. But one thing is for sure: we can’t stop talking about Jenner’s rumored transition to womanhood. And contrary to what some trans and LGBT activists have said, that’s not a bad thing. Because Jenner has been silent on whether or not he is transitioning, LGBT groups, such as the Institute for Transgender Economic Advancement and GLAAD, say the media should stop speculating on Jenner’s sexuality and allow Jenner to come out on his own time. Yet for all intents and purposes Jenner has come out. As a seasoned celebrity who has lived the past seven years of his life on TV, Jenner would have to have been acutely aware that if he walked around LA displaying painted nails and a visible sports bra, the paparazzi would take pictures, which would lead to national speculation about his gender. In a perfect world that lacked repressive gender norms such displays would not warrant rampant speculation about gender transitions. But we don’t live in this world, and Bruce Jenner knows it. It’s even plausible that Jenner is trying drum up interest in his upcoming reality show.